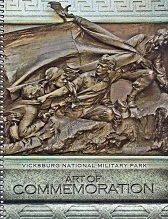 Soon after Vicksburg National Military Park was established in 1899, the nation ‘s leading architects and sculptors were commissioned to honor the soldiers that had fought in the campaign. 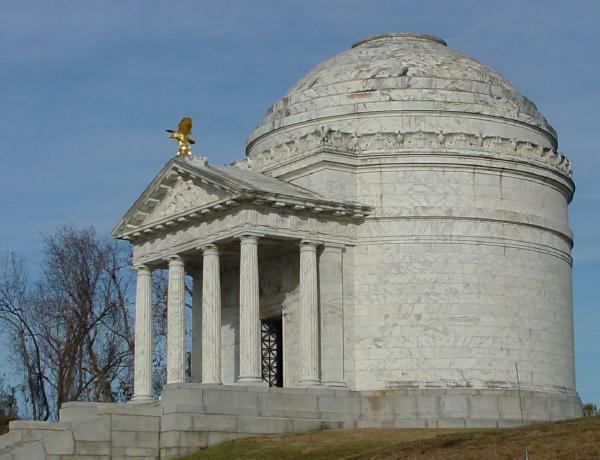 The park’s earliest state memorial was dedicated in 1903, and over 95 percent of the monuments that followed were erected prior to 1917. An aging Civil War veteran who hastened to Vicksburg to see the resulting works was so impressed that he aptly described Vicksburg National Military Park as “the art park of the world: ‘ The work of commemoration has continued sporadically since 1917, and today, over 1,370 monuments, tablets and markers dot the park landscape. Unfortunately, some of these are on former park lands or are not situated along the tour road. In touring the park, it is helpful to know that the ancient Roman writer, architect, and engineer, Vitruvius, insisted that there were two points in all matters: the thing signified, and that which gave it its significance. The thing signified at Vicksburg – the spirit of the park-is the valor of the soldiers and sailors who struggled as participants in the Vicksburg campaign. The memorials and markers, through their information, art and architecture, signify, or honor, these combatants. The bronze, stone, and iron works were created to help preserve the spirit of duty, honor and country, and hopefully, this spirit will be experienced by the viewer. The best way to appreciate the park and feel its spirit is to park in designated areas and spend some time on short walks. The reward will be that the works of art will reveal details and fuel emotions that are impossible to appreciate and feel from afar. As composer Daniel Gregory Mason observed; “Art of any profundity can be experienced only slowly, gradually, in leisurely contemplation.” You are, therefore, encouraged to savor your time amidst the heroes of the past.